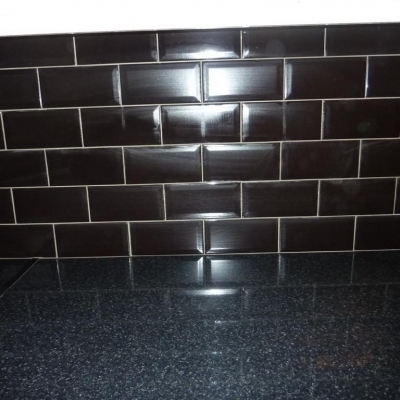 Subway tiles or Metro tiles are great for kitchen walls and this is a great choice for this kitchen. 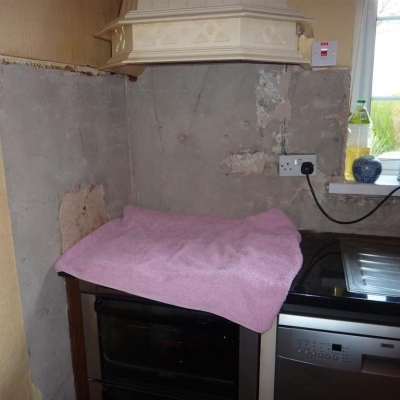 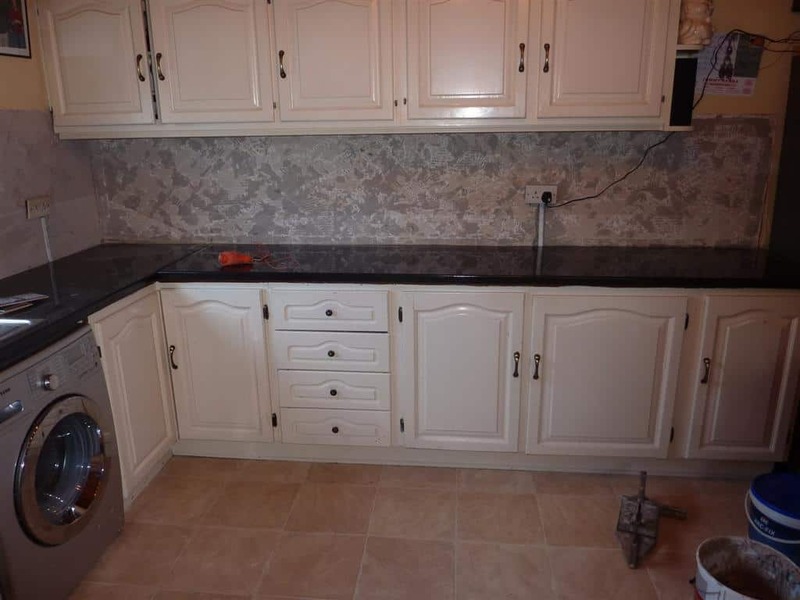 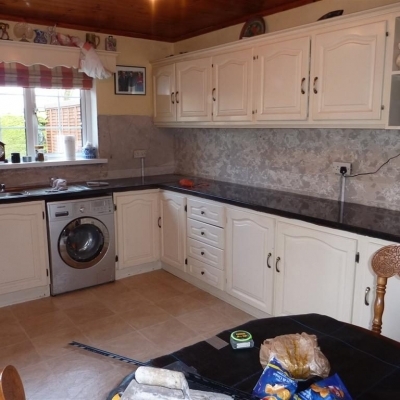 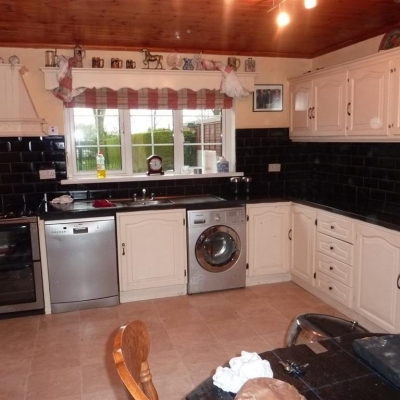 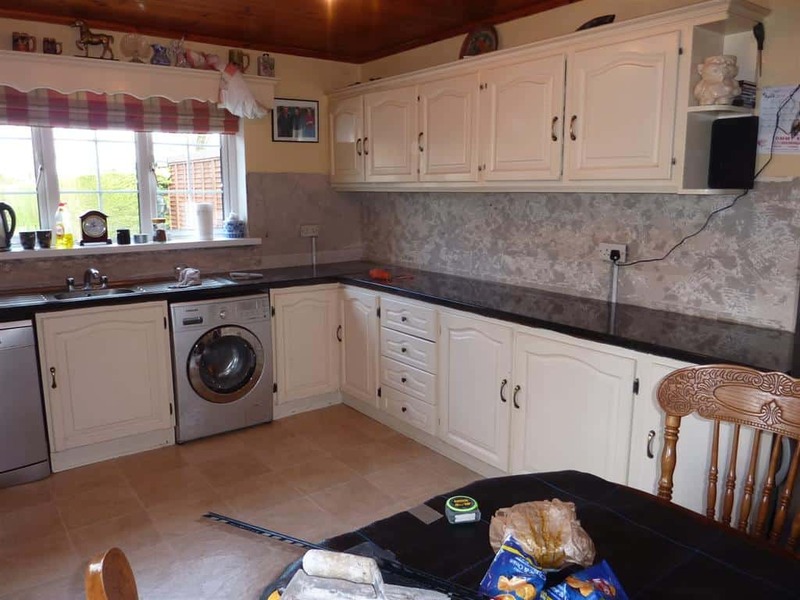 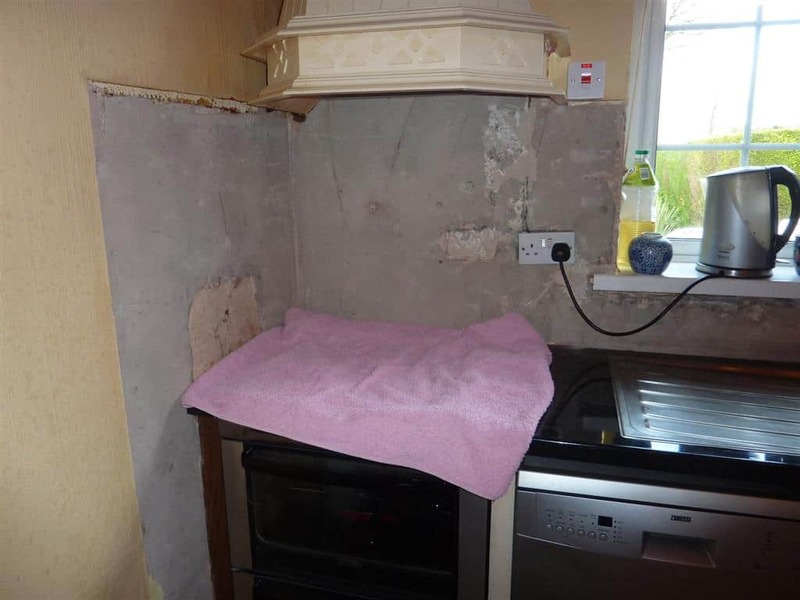 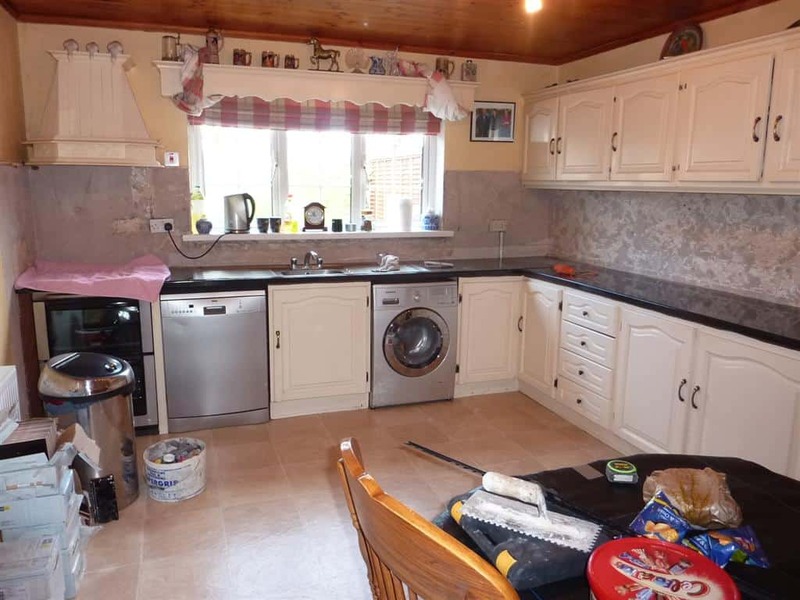 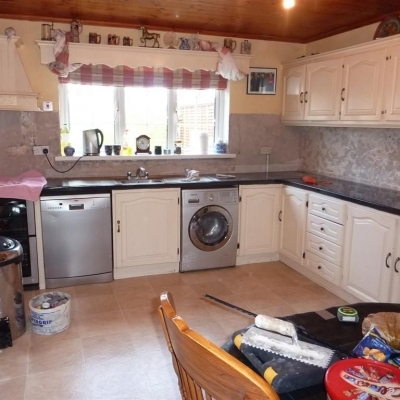 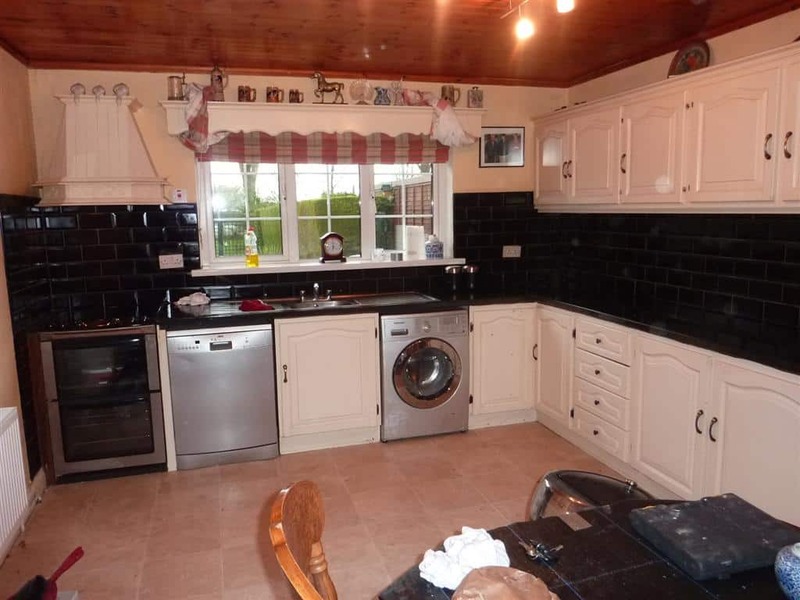 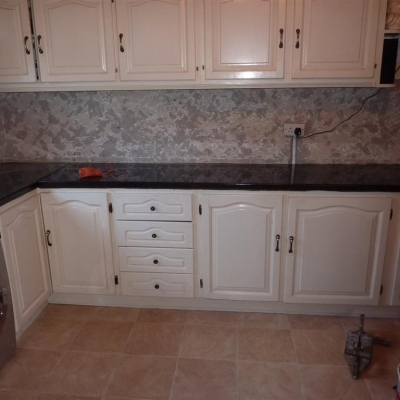 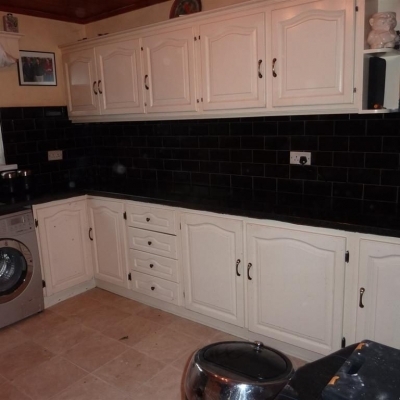 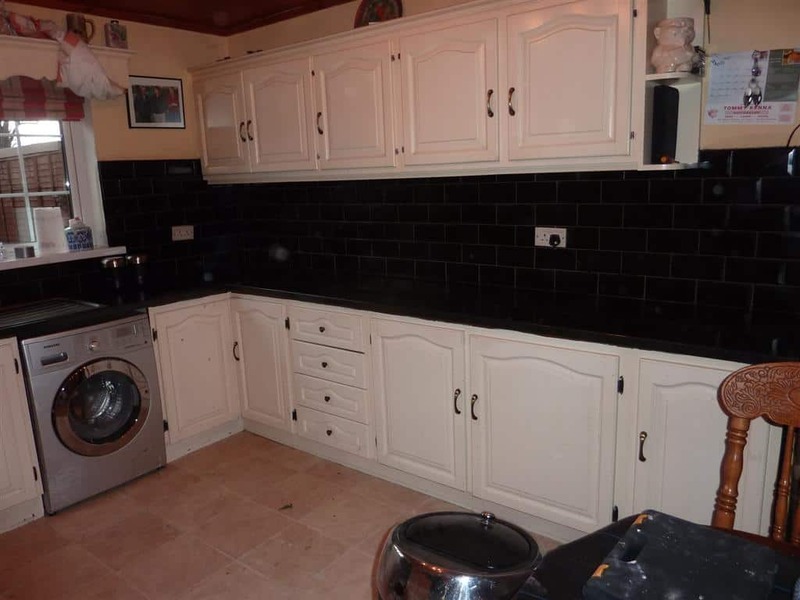 The prevoius tiles had been taken off by the home owner so our job was a lot easier than it could have been but it still took all day to tile and grout because this kitchen is huge, its got to be twice the size of most kitchen walls. 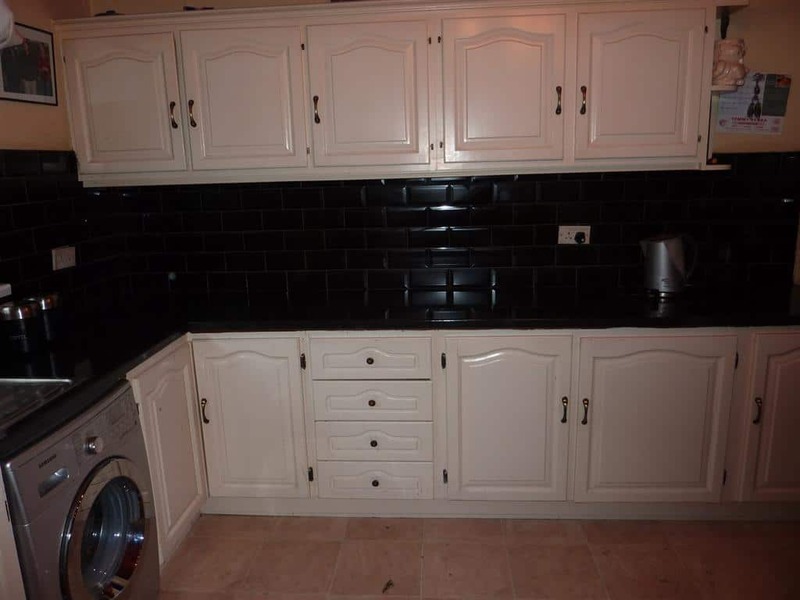 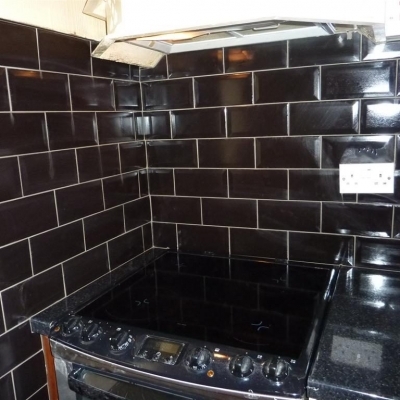 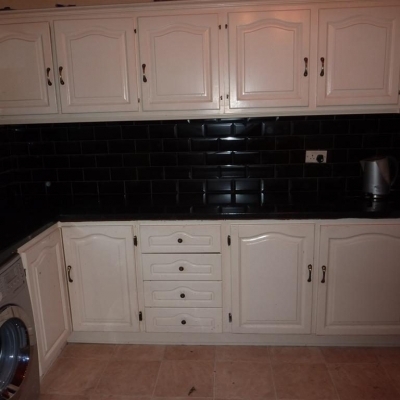 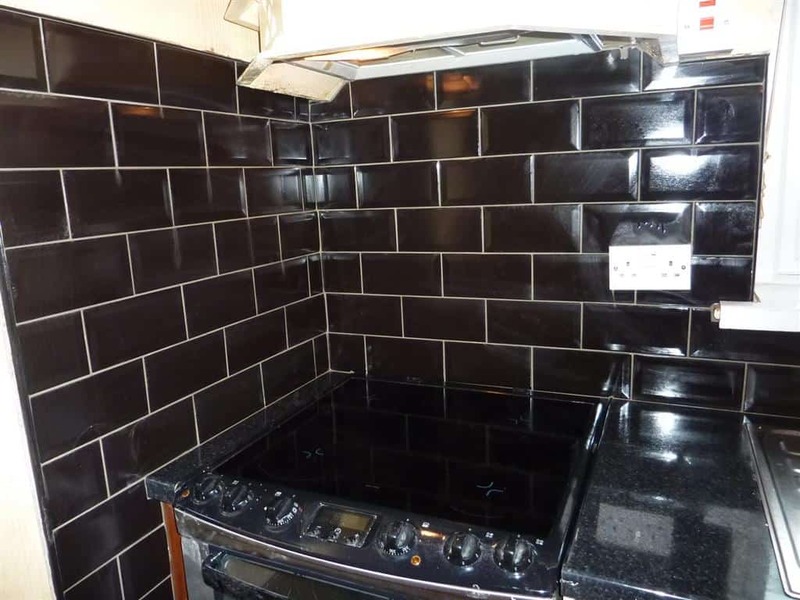 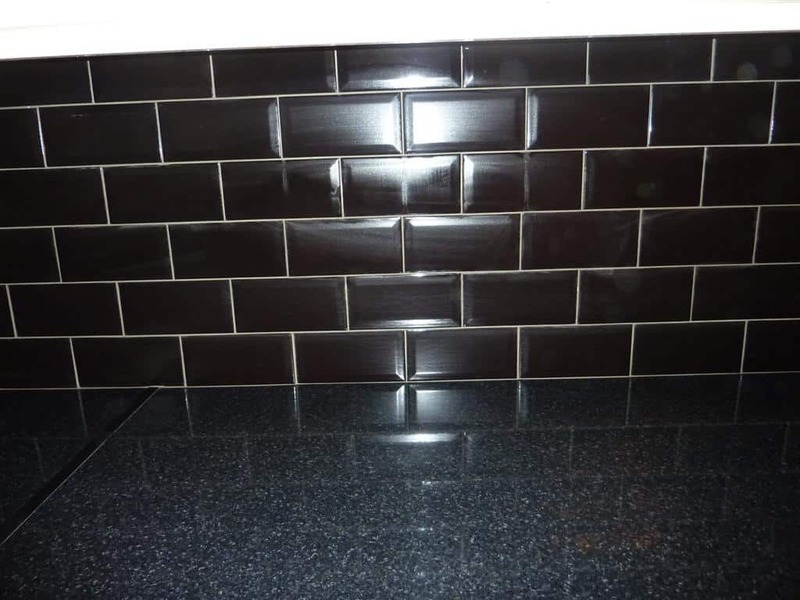 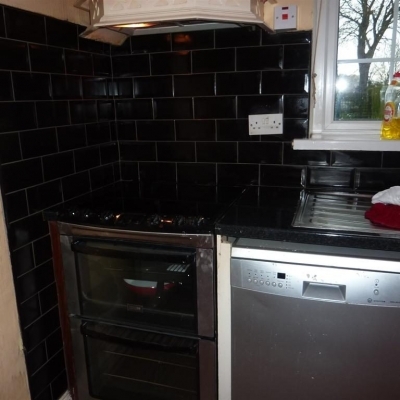 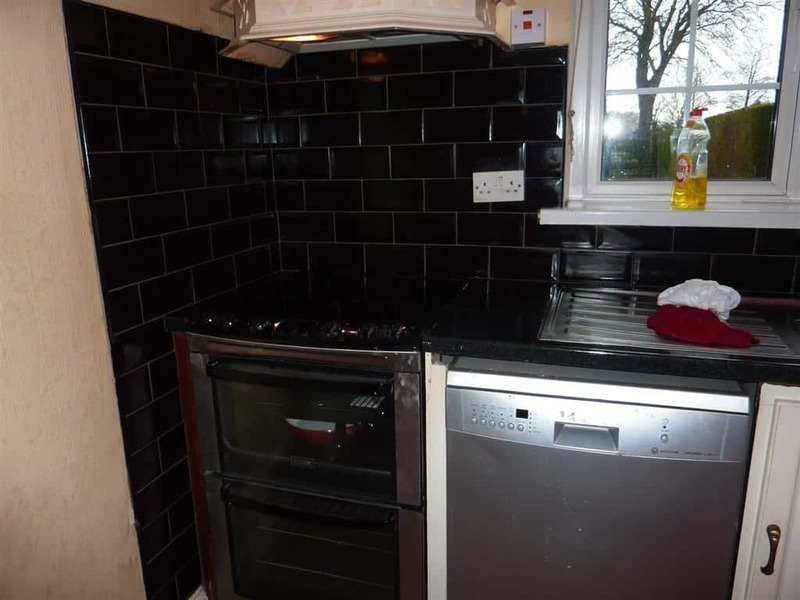 The tiles are black as you can see and we kept to narrow joints with light grey flexible grout to emphasise the size of the tile, I think its a great choice and more improtant to what I think the customers are delighted.